The Internet has profoundly and permanently changed the ways in which information can be disseminated and discussed. And since scientific publishing is precisely about getting new findings out to researchers and readers for discussion, the Internet has changed scientific publishing considerably, mostly for the better — and will continue to do so. Distribution costs can be very low if a journal chooses to publish only online, for instance, but there are still high costs involved for proper peer review and editorial quality control. The introduction, a decade ago, of an open-access model in which authors pay to have their work published offered an alternative way of financing this quality control. But it also opened up opportunities to charge authors a fee to publish their papers with little or no quality control. Whether it's fair to classify all these journals and publishers as “predatory” is an open question — several shades of gray may be distinguishable. Some of the publishers are intentionally misleading, naming nonexistent people as their editors and editorial board members and claiming ownership of articles that they have plagiarized from other publications. Other journals and publishers on Beall's list may be real, though it's obvious that the people running them are not very professional, and some of the publications may have been created simply because it seemed like a clever business scheme to collect author fees of several hundred dollars apiece to post papers in a journal-like layout at a fraction of the traditional price. Viewed in some lights, such enterprises may not be unethical: thousands of researchers worldwide need to publish, and not all of them can do so in the highest-ranked journals. But it is surely problematic for journals and publishers to pretend to be something they aren't, misleading authors, readers, and the scientific community at large. 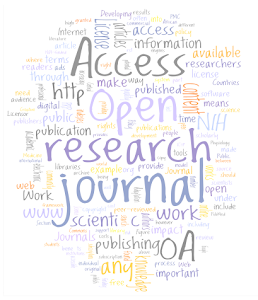 Most of the new open-access journals state that they are international, scientific, or scholarly peer-reviewed journals and offer quick turnaround times. Some of them also cover very broad subject areas — for example, the Academic Research Publishing Agency publishes the International Journal of Research and Reviews in Applied Sciences (www.arpapress.com) and encourages submissions from a wide range of scientific fields. It is difficult to imagine how a single journal could manage to properly validate papers that are so varied. Until recently, “international, scientific, peer-reviewed journal” has had a fairly specific meaning to the scientific community and society at large: it has meant a journal that checks submitted papers for scientific quality, but also for relevance and interest to its readers, and also ensures that it contains new findings that may advance science. These features render a journal trustworthy and worthy of readers' time and money. 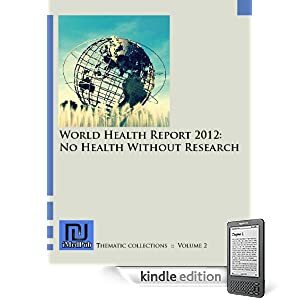 Many observers were therefore understandably disturbed when the journal publisher Elsevier admitted in 2009 that it had published six “fake journals” funded by pharmaceutical companies — in Elsevier's own words, “sponsored article compilation publications . . . that were made to look like journals and lacked the proper disclosures.” The company had intentionally exploited the word “journal” to give the impression that these publications were honest and reliable. Of course, the terms “international,” “scientific,” “peer-reviewed,” “journal,” “article,” “editor,” and “publisher” do not have copyrighted or patented definitions and can have varied meanings, especially in the Internet age. Must an article be different from a submitted paper? Isn't everything published online automatically international? Is there anything wrong with a situation in which the editor and publisher are just one person who has set up a website where researchers can submit their papers and pay a fee to have them laid out in a professional way and made available to all interested parties? Isn't it a good thing that this vast number of new publishers and journals will make it possible to get all research — whatever its quality level — into the public domain? Perhaps. But describing a simple online-posting service as “an international, scientific, peer-reviewed journal” leads authors and readers to believe that they are submitting to or reading something they aren't. We must recognize that no publication or financing model is, in itself, morally superior to others or can guarantee high quality. Various models can produce high-quality content, and all are vulnerable to exploitation. It might make the most sense to concern ourselves less with the publication or financing model used and more with ensuring transparency about a publication's content and editorial processes. And perhaps we should insist that not all these enterprises can be called “scientific journals.” As a reader, I do not want to spend my time reading vast quantities of low-quality research and would be willing to pay for someone to do the sort of filtering for quality, relevance, and novelty that journal editors have traditionally done. As a researcher, by contrast, I might see it as a waste of time to seek a journal that would publish my research and might be willing to spend money to make it available to other researchers and the public. It would be fair to everyone, though, to be explicit about the fact that these are very different types of publications. With greater transparency, the questionable or predatory publishers who are using either author-pays or subscription models would also be easier to spot — and avoid.